The Impostor Mother: Stepmother as Scapegoat in Fairy Tales. When you think of the ‘bad’ mothers in contemporary readings of fairy tales, what do they have in common with each other, apart from a selfish and wicked personality and, more often than not, unenviable looks? It is the distancing from the real mother, that important and literal step away from true motherhood. The stepmother in fairy tales, unlike the true good mother, is unmoved by the presence of the child; often she is actively aggressive towards the story’s small protagonist. She is the maleficent other. 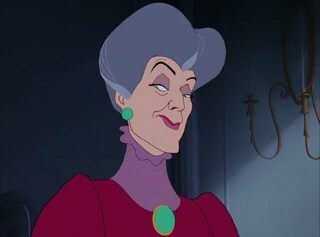 In reality, what mother hasn’t felt like the evil stepmother some days? We are flawed and human, and complicated. We are not ‘just’ mothers. We feel anger and jealously and frustration, and sometimes, inevitably, our children feel the impact. So why, in children’s stories, do we divide the mother so starkly? A true mother is perpetually kind, patient and lovely (and usually dead before the beginning of most fairy tales, but that’s a subject for another day) while the selfish and snappish parts of us are embodied by the impostor; the stepmother. She will be a threat, a hateful thing, and usually dead, this time by the end of the story. She won’t be grieved. This wasn’t always the case. In early versions of the Grimms’ telling of Snow White for example, as Marina Warner points out in her chapter on the absent mother in From the Beast to the Blonde, the Queen felt rage and jealousy towards her own daughter. The brothers later demurred, and transformed her into a stepmother. But why? Undeniably the stepmother, especially in European tales, has been a common presence. In the 18th Century, when many stories were being recorded for the first time, divorce was not common, but death was; through illness and childbirth. The single father was a rare and impractical thing indeed, so widowers were quick to remarry. Not for love, but as a mother for their children and runner of their household. Widows on the other hand were absorbed back into their families. So, with their mother not long dead and barely given the chance to take in their loss, let alone grieve, children were often placed in charge of a new mother, childless or sometimes bringing her own. 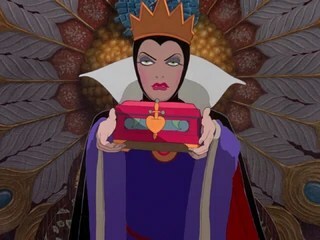 But is this enough to explain the power and abundance of the wicked stepmother in fairy tales? Freud claimed that a child cannot possibly comprehend the coexistence of ‘good’ and ‘bad’ in their own mother, and needs to split them into two distinct beings. Fairy tales help to delineate the difference, and give the child comfort in the reinforcement of their mother as benevolent and kind. However, I feel the denial of the flawed mother in stories might be more related to our own adult ideals and desires. Children are cleverer and more perceptive than we give often them credit for, while were are often blind to our own faults. Raised on fairy tales ourselves, we want to be on the side of good. Sometimes we hurt our children with careless words. Sometimes we are jealous of them. Our children know we are flawed, but by giving them the safety of the good and pure mother in stories we construct an ideal of ourselves which they (and we) hold on to, because what is the alternative? The cloak swishing, claw fingered impostor mother. She might make an appearance at the end of an exhausting day, or in the third hour of an interminable car trip, but when we tuck our children into bed at night, we are ourselves again, the gentle, kind and true mother. Stories let both our children and ourselves hold onto the conviction that, at the end of the day, the wicked impostor has been banished and truly we are good. For a modern and deliciously terrifying interpretation of the impostor mother, read Neil Gaiman’s Coraline. Danielle Wood doesn’t shy away from duality and complicated emotions of motherhood in her recent book Mothers Grimm. Based on four of the Grimm brothers’ fairy tales, she writes unflinchingly about contemporary motherhood. If you’re interested in the meaning and history of fairy tales, Marina Warner’s From the Beast to the Blonde is deep and wonderful. You’ll need to read it several times to absorb the wealth of information held within.